Not all revelations of God to his latter-day prophets have been formally published, let alone accepted by the common consent of the Church as canonized scripture. Just as the compilers of the Bible had to decide which texts to include, similar decisions have been made in this dispensation with respect to modern revelations. Initially this process was carried out by those assigned by the Prophet Joseph Smith to gather the revealed materials, organize them, and, under his supervision, print the Book of Commandments (1833) and the Doctrine and Covenants (1835). They included those revelations that were relevant “for the establishment and regulation of the kingdom of God on the earth in the last days” (D&C , “Explanatory Introduction”). Latter-day Saints believe that divine inspiration played a role in guiding these selections (DS 3:202). Many revelations are not included in the standard works, however; for example, those given to specific individuals under particular circumstances containing personal instructions rather than doctrine for the Church. Many are published in the History of the Church or are found in collections of Church documents. Examples include a revelation calling John E. Page to go to Washington, D.C. (HC 6:82), and a revelation about the division of the United Firm (Kirtland Revelation Book, p. 111). Also excluded are temple ordinances and other sacred matters not published to the world. The Church of Jesus Christ of Latter-day Saints regards its canon of scripture as open, and two earlier revelations were added to the canon in 1979 (D&C 137 and 138). Latter-day Saints believe that God “will yet reveal many great and important things pertaining to the Kingdom of God” (A of F 9). Another example of revelation received but not published is the revelation underlying the announcement by the First Presidency in June 1978 extending the priesthood to all worthy male members of the Church. Only an official statement concerning that revelation was published (see Doctrine and Covenants: Official Declaration 2). Other changes in the Church, such as the recent expanding of the role of the seventy, accelerating temple building, and expanding missionary activity, are viewed by Latter-day Saints as manifestations of divine direction. The revealed basis of these changes is not always published, as it more often was in the early years of the Church. As Elder James E. Faust declared, “In our time God has revealed how to administer the Church with a membership of over six million differently than when there were just six members of the Church” (Faust, p. 8). A few writers have attempted to collect and publish revelations that are attributed to prophets but not published in the scriptures. Some of these texts are based on credible sources; others come from sources that are suspect, if not invalid. When a so-called revelation contains statements and declarations that are clearly out of harmony with the standard works and official statements of the First Presidency, such materials are considered to be spurious. In biblical times, false prophets sometimes spoke and wrote in the names of others and claimed revelations from God (cf. Deut. 18:20-22; Matt. 7:15). Today, some people similarly find journals or produce documents containing alleged revelations. The main guideline used for assessing these is as follows: “No one shall be appointed to receive commandments and revelations in this church excepting my servant Joseph Smith, Jun., for he receiveth them even as Moses…until I shall appoint…another in his stead” (D&C 28:2, 7). Latter-day Saints believe that the right to receive revelation for the entire Church is reserved for the president of the church. Cook, Lyndon W. The Revelations of the Prophet Joseph Smith. Provo, 1981. Faust, James E. “Continuous Revelation.” Ensign 19 (Nov. 1989):8-11. 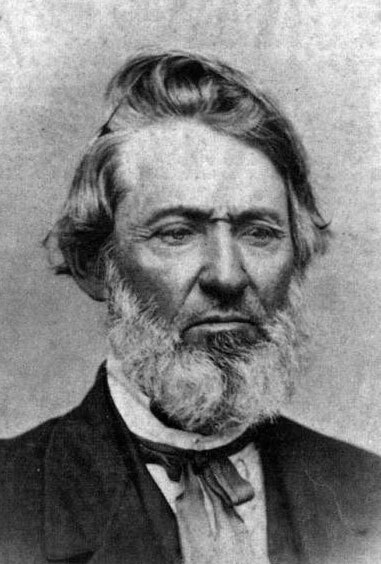 Elder Orson Pratt confirmed President Woodruff’s statement and added: “Joseph … received the ideas from God, but clothed those ideas with such words as came to his mind” (Minutes of the School of Prophets, Salt Lake Stake, 9 Dec. 1872, Church Historical Department Archives, italics added). Some of the revelations were reprinted on handbills or broadsheets in Kirtland, only a few of which have survived. Sections 59, 88, 89, and 101 were printed in December 1833 or January 1834. (History of the Church, 2:51; Kirtland Council Minute Book, Church Historical Department Archives, pp. 74, 76.) Since they seem similar to the texts used in the 1835 edition of the Doctrine and Covenants, they must have been printed because they were judged too important to wait for the publication of that edition. Broadsheets of section 109 were also printed in Kirtland at the time of the temple dedication. Soon after all the Twelve arrived in England on their missions, they met on 6 April 1840 and voted to publish both the Book of Mormon and the Doctrine and Covenants. (Manuscript History of the British Mission, 15, 16 Apr. 1840, Church Historical Department Archives.) The Book of Mormon appeared; the Doctrine and Covenants didn’t—probably because the First Presidency announced that in October a new edition was to be published in Nauvoo. (Times and Seasons [Oct. 1840]: 186.) In fact, when the first British edition finally appeared in 1845, it followed the format of an 1844 Nauvoo edition. Some changes had been made: eight sections were added, including one written after Joseph Smith’s death—sections 103, 105, 112, 119, 124, 127, 128, and 135 in current editions. The minutes of the approving 1835 conference were dropped. Since stereotyping is a process that produces metal plates, the 1845 and 1846 Nauvoo editions duplicated the 1844 edition. During the exodus from Nauvoo, Church leaders carefully instructed the three trustees left behind in Nauvoo to bring the stereotype plates with them to Winter Quarters, but the plates were never used again and must have been lost. (Journal History of the Church, 28 Sept. 1846, pp. 2–3; 11 Nov. 1846, p. 2; 1 Apr. 1847, p. 3, Church Historical Department Archives.) Instead, the Utah Saints imported copies from England in 1854. In fact, until a greatly revised edition was printed in Salt Lake City in 1876, all of the Church’s editions of the Doctrine and Covenants were printed in England. As in America, the history of the Doctrine and Covenants was a lively one. When Wilford Woodruff was sent on his second mission to England in 1844, one of his purposes was to publish the Doctrine and Covenants. (Brigham Young Journal, 19 Aug. 1844, p. 51, Church Historical Department Archives.) His mission acquired sudden urgency when he learned that John Greenhow, a member of Sidney Rigdon’s break-away Church of Christ, was planning to publish the Doctrine and Covenants in England and thus secure the copyright. (Wilford Woodruff Journal, 1–3 Mar. 1845.) Elder Woodruff, in a little over three months, published first and thus kept the copyright in the Church. The 1854 edition also established the need for a textual change. Orson Pratt, who was in charge of publishing that edition, discovered that a disaffected member named Charles B. Thomson was publishing a newspaper containing “revelations” he supposedly had received from “Baneemy.” Since “Baneemy” was the code name for “the elders” that Joseph Smith had given in Section 105:27 [D&C 105:27], Elder Pratt proposed that the real names be printed in the next edition, thus exposing Thomson. (Orson Pratt to Brigham Young, 20 Nov. 1852, Church Historical Department Archives.) Because changes in the stereotype plates would have been so costly, the changes were actually made in the 1876 edition. 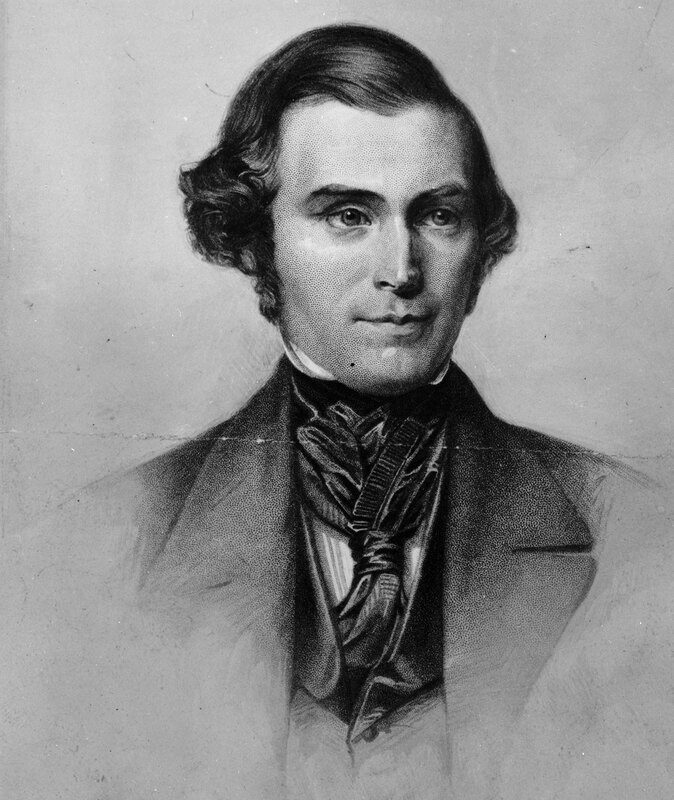 Orson Pratt was an important figure in the next stage of the history of the Doctrine and Covenants. In January 1875 he was deep into an extensive revision to divide the sections into verses, add other revelations the Prophet Joseph Smith had received, arrange the sections in chronological order, and add “in parentheses” the real names after the code names—the change he had recommended over twenty years earlier. (Historian’s Office Journal, 7 July 1874–14 Nov. 1875, p. 70.) He also wrote new introductions to many sections. In all this he was following the counsel given him by President Brigham Young. This edition was ready for distribution in 1876. The major change, however, was the addition of twenty-six sections. Sections 2 and 13 [D&C 2; D&C 13] contain significant historical events; sections 77 and 113 [D&C 77; D&C 113] include interpretations of scripture by Joseph Smith; sections 85, 121, 122, and 123 [D&C 85; D&C 121–123] are extracts of letters; section 109 [D&C 109] was the dedication prayer for the Kirtland Temple; section 110 [D&C 110] recorded the visit of the heavenly beings who appeared in the temple 3 April 1836; sections 116, 129, 130, and 131 [D&C 116; D&C 129–131] were inspired statements by Joseph Smith; section 136 [D&C 136] was a revelation Brigham Young received after the Prophet’s death; and the greatest number—sections 87, 108, 111, 114, 115, 117, 118, 120, 125, 126, and 132 [D&C 87; D&C 108; D&C 111; D&C 114; D&C 115; D&C 117–118; D&C 120; D&C 125–126; D&C 132]—were revelations included in Joseph Smith’s history but never before published in the Doctrine and Covenants. However, Orson Pratt returned yet again to England late in 1878 to print a new edition of the Book of Mormon using electrotype plates. The idea of doing an electrotype edition of the Doctrine and Covenants as well came up, and Elder Pratt, President John Taylor, and William Budge, president of the British Mission, corresponded extensively about it. (See for example Orson Pratt to John Taylor, 1 Mar 1879, Church Historical Department Archives.) Basically, it would follow the 1876 format, with the addition of an index in place of the table of contents and footnotes. 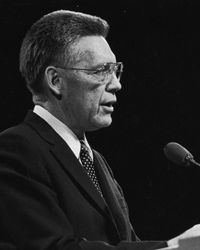 When President Taylor also requested that Elder Pratt include marginal references and footnotes, he called four reliable elders, John Nicholsen, Hugh Findley, John Rider, and Moroni Snow, to help. In the next thirty-eight years, no fewer than twenty-eight printings of the Doctrine and Covenants were made, most from the electrotype plates made in 1879, others in a similar format. Some were bound to make double or triple combinations; some were vest-pocket size; later Salt Lake editions added a concordance—but all of them had a constant text with unaltered footnotes, and the same material could be found on the same page. The next major changes appeared in the 1921 edition. On 18 March 1920, Elder George F. Richards was appointed chairman of a committee to prepare a new edition of the Book of Mormon. (George F. Richards Journal (1918–1920), 18 Mar. 1920, Church Historical Department Archives.) That project went to press in December. In March 1921, the First Presidency assigned the same committee to prepare a new edition of the Doctrine and Covenants. The committee, including Elders Anthony W. Ivins, James E. Talmage, Melvin J. Ballard, and Joseph Fielding Smith, worked intensively for another nine months, and the new edition was published in December. The edition in use today was published in 1981. It was expanded to include Joseph Smith’s Vision of the Celestial Kingdom and Joseph F. Smith’s Vision of the Redemption of the Dead—transferred from the Pearl of Great Price—becoming sections 137 and 138 [D&C 137; D&C 138], respectively. The statement of the First Presidency regarding the revelation extending the priesthood to ‘all worthy male members of the Church,’ released 9 June 1978, was also added as Official Declaration—2 [OD 2]. 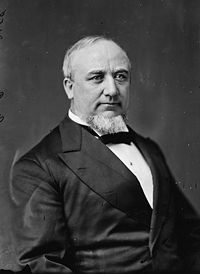 President Woodruff’s 1890 manifesto remained as Official Declaration—l [OD 1], and his explanation for issuing the manifesto has also been added. Why were the Lectures on Faith removed from the Doctrine and Covenants? The Church removed the Lectures from the Doctrine and Covenants in the 1921 edition with an explanation that the Lectures “were never presented to nor accepted by the Church as being otherwise than theological lectures or lessons.” (1921 Introduction to the Doctrine and Covenants.) This is in contrast to the remaining pages of the original Doctrine and Covenants which are officially recognized as divine revelation given specifically to the church. The following is a portion of a document entitled The ‘Lectures on Faith’: A Case Study in Decanonization” written by Richard S. Van Wagoner, Steven C. Walker, and Allen D. Roberts. Canonization procedures in the Church have never been officially specified. And not all revelations given to Church presidents have been presented to the Church for sustaining. The title page to the 1835 Doctrine and Covenants notes that the revelations were “Carefully Selected From The Revelations of God” and compiled by a committee of four presiding elders, including Joseph Smith. Elder George F. Richards, original chairman of the 1921 Doctrine and Covenants committee, wrote in his journal 29 July 1921 of other noncanonized revelations: “We read the revelations which do not appear in the present edition of the Doctrine & Covenants, about twenty in number, with the view of recommending to the First Presidency certain of them to be included in the edition we are just now preparing.” The First Presidency apparently did not approve these suggested additions, for no new revelations were included in the 1921 edition. It seems nonsensical that the Prophet of God should submit to such a test as this [common consent], and not deem the revelations he received authentic until they had the approval of the different quorums of the Church. They were authentic and divinely inspired, whether any man or body of men received them or not. Their reception or non-reception of them would not affect in the least their divine authenticity. But it would be for the people to accept them after God had revealed them. In this way they have been submitted to the Church, to see whether the members would accept them as binding upon them or not. Joseph [Smith] himself had too high a sense of his prophetic office and the authority he had received from the Lord to ever submit the revelations which he received to any individual or to any body, however numerous, to have them pronounce upon their validity (Juvenile Instructor 26 [1 Jan. 1891]: 13-14). Revelations given of God through his prophets . . . are not subject to an approving or sustaining vote of the people in order to establish their validity. Members of the Church may vote to publish a particular revelation along with the other scriptures, or the people may bind themselves by covenant to follow the instructions found in the revealed word. But there is no provision in the Lord’s plan for the members of the Church to pass upon the validity of revelations themselves by a vote of the Church; there is nothing permitting the Church to choose which of the revelations will be binding upon it, either by a vote of people or by other means (1966, 150). The church has a right to reject or approve of revelations and any man independent of the action of the church has a right to accept it or reject it as he sees fit and the church has a right to say whether they will accept it or reject it as a revelation, and before a revelation can be accepted by the church, as a law, it must in some form or other be presented to the church and accepted by the church, and that has been true since the time I first became connected with the church (1893, 206). 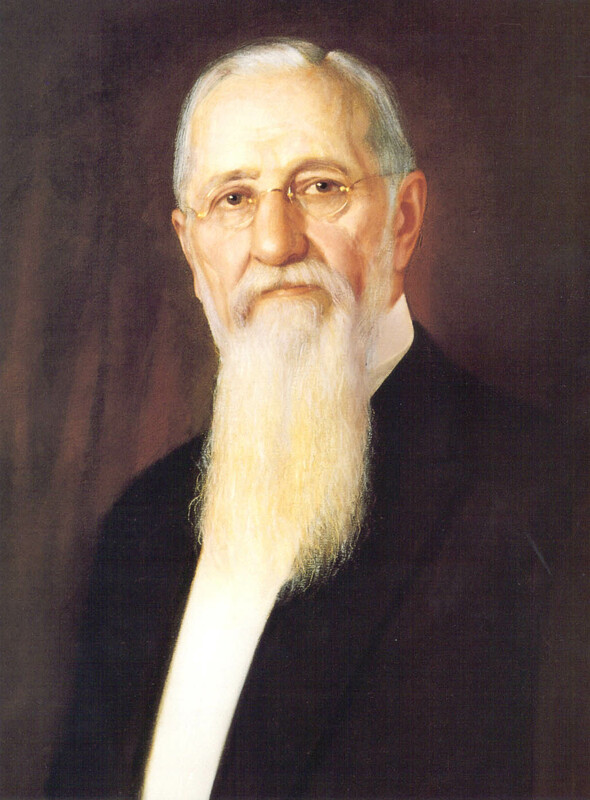 President Joseph F. Smith stated similarly in his 1904 testimony before the Senate committee investigating the seating of Reed Smoot: “I will say this, Mr. Chairman, that no revelation given through the head of the church ever becomes binding and authoritative upon the members of the church until it has been presented to the church and accepted by them.” Questioned whether “the church in conference may say to you, Joseph F. Smith, the first president [sic] of the church, ‘We deny that God has told you to tell us this?,’ ” President Smith replied: “They can say that if they choose. . . . And it is not binding upon them as members of the church until they accept it” (1907, 1:96). It thus appears that at least two Church presidents have verified the principle of common consent in canonizing revelation into the standard works of LDS scripture. There is no mention, however, of a procedure for decanonizing scriptural items such as the Lectures on Faith. While writing a master’s thesis at BYU in 1940, John W. Fitzgerald wrote to Elder Joseph Fielding Smith, a member of the 1921 committee that had deleted the Lectures on Faith from the Doctrine and Covenants, and asked him why items published under Joseph Smith’s direction were removed. (1) They were not received as revelations by the Prophet Joseph Smith. (2) They are only instructions relative to the general subject of faith. They are explanations of this principle but not doctrine. (3) They are not complete as to their teachings regarding the Godhead. 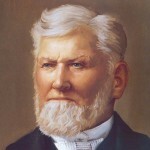 (4) It was thought by Elder James E. Talmage, chairman, and other members of the committee who were responsible for their omission that to avoid confusion and contention on this vital point of belief [i.e., on the Godhead], it would be better not to have them bound in the same volume as the commandments or revelations which make up The Doctrine and Covenants (in Fitzgerald 1940, 343-45). This reply poses several historical difficulties. While it is true that the Lectures were never identified by Joseph Smith as revelations, Section 102 (present section 134) is similarly not termed a revelation in the 1835 Doctrine and Covenants but declared the Church position on “Governments and Laws in general.” Probably written by Joseph Smith and Oliver Cowdery and later declared by the Prophet to be the belief of the Church, the statement has never purported to be a revelation but has been included in all editions of the Doctrine and Covenants. Joseph Fielding Smith’s assertion that the Lectures are “instructions,” not “the doctrine of the Church,” is historically erroneous. The 1835 edition of the Doctrine and Covenants specifically titles the Lectures, “the Doctrine of the Church of the Latter Day Saints.” The second part of that edition was labeled “PART SECOND Covenants and Commandments” (Woodford 1974, 41 – 42). 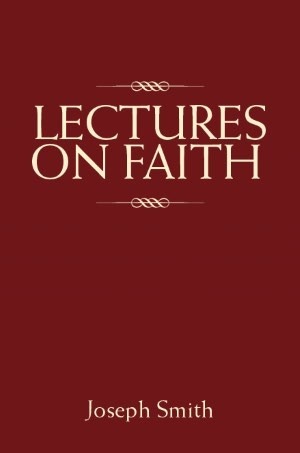 Furthermore, the Articles of Faith, written by Joseph Smith and later canonized by inclusion in the 1880 Pearl of Great Price, directly parallel the Lectures as instructions on the general subject of faith. Moreover, the 1835 First Presidency declared in the preface to the first edition of the Doctrine and Covenants that the Lectures on Faith contain “the important doctrine of salvation.” The Lectures were expressly given to teach Church leaders and missionaries doctrines considered truthful and binding upon present and future Church members. To hold that such materials would not be doctrine puts the missionaries in a curious position. How many personages are there in the Godhead? Two: the Father and Son. Who is the Father? He is a personage of glory and of power. The Only Begotten of the Father possessing the same mind with the Father, which mind is the Holy Spirit. It was not until 1841, twenty-one years after the First Vision, that the Prophet taught that “there is no other God in heaven but that God who has flesh and bones” (Clayton 1841). That idea was further developed when Joseph declared two years later in Ramus, Illinois: “The Father has a body of flesh and bones as tangible as man’s; the Son also; but the Holy Ghost has not a body of flesh and bones, but is a personage of Spirit. Were it not so, the Holy Ghost could not dwell in us” (D&C 130:22). Near the end of Joseph Smith’s life his 1844 King Follett funeral sermon enunciated key Mormon concepts such as “God, who sits enthroned in yonder heavens is a man like unto one of yourselves”; “God came to be God”; “God himself, the father of us all dwelt on an earth the same as Jesus Christ”; “You have got to learn how to be Gods yourself” (Times and Seasons, 7 Aug. 1844). Present-day Mormon theology parallels Joseph Smith’s Nauvoo teachings, though most Latter-day Saints are unaware that the Prophet’s understanding of the Godhead evolved. The Lectures on Faith provide a window through which to view his 1835 perceptions. In my judgment, it is the most comprehensive, intelligent, inspired utterance that now exists in the English language — that exists in one place defining, interpreting, expounding, announcing, and testifying what kind of being God is. It was written by the power of the Holy Ghost, by the spirit of inspiration. It is, in effect, eternal scripture; it is true. When the Lectures on Faith were removed from the scriptures in 1921, Church leaders were evidently unaware that the 1835 First Presidency considered the Lectures the “doctrine” portion of the Doctrine and Covenants. Neither the Lectures’ importance nor their historical significance should be underestimated by Latter-day Saints. Their inclusion and eventual removal from the Doctrine and Covenants provides us with an important case study of the infrequent process of decanonization of Mormon scripture. (Richard S. Van Wagoner, Steven C. Walker, and Allen D. Roberts. The ‘Lectures on Faith’: A Case Study in Decanonization.” Dialogue, A Journal of Mormon Thought, 20 (Fall 1987):71-77. This entry was posted in Church History, Joseph Smith, Messiness of scripture, Miracles, Prophets, Receiving Revelation, Scriptures and tagged Decanonization, Doctrine and Covenants, Lectures on Faith, Robert Woodford, Unpublished Revelations. Bookmark the permalink. 1 Response to Why are there unpublished revelations in our day?